South Dallas contains many Jewels such as Fair Park, The African American Museum, and is home to the the Dallas Weekly newspaper, several of the areas Black Fraternities and sororities, Martin Luther King Cultural Center, MLK Jr and Malcolm X Boulevards. 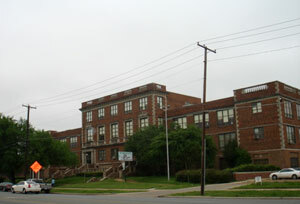 The community of South Dallas is the section of Dallas just southeast of Downtown. 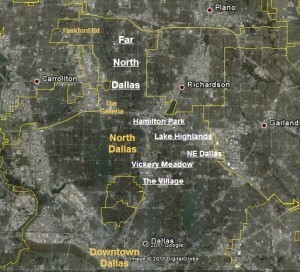 Many, including the mainstream media, frequently refer to the entire southern half of Dallas as South Dallas. However the ‘real’ South Dallas is the area near Fair Park and is made up of several smaller neighborhoods. Another misconception of South Dallas is that it was once an all white neighborhood that succumbed to ‘white flight’ because of school busing. Actually South Dallas always had a significant Black presence dating back to just after the Civil War when Black farmers settled the area to farm. The southern half of South Dallas grew into a Black working and middle class community while the north area was split between the Jewish wealthy and less well-to-do white working and middle class. However White flight did take place making South Dallas the premier African American community for working and middle class African American homeowners. However ‘Black flight’ began which led to a large population loss leaving many poor African Americans behind along with several abandoned, neglected, and demolished properties. Although a shadow of former self South Dallas still has some very nice wood frame housing stock in several of its neighborhoods and is experiencing new development including the ambitious Baxer street project. Median Incomes in South Dallas range from $12,000 to $28,000 annually. Median home values range from $30,000 to $80,000. and rents are in the $600 to $800 range making this area very affordable.